A 60-year-old woman came to the emergency room with symptoms of a respiratory tract infection. The anamnesis included a 50-year history of asthma in treatment with beclomethasone and salbutamol. Obstructive pattern was present in spirometry while Antitrypsin alpha and Prick test were negative. Chest computed tomography (CT) revealed bronchiectasis and multiple calcified nodules on the trachea and main bronchi (Fig. 1A, arrows) which appeared in the virtual bronchoscopy as multiple polypoid images (Fig. 1B, arrows), with sparing of the posterior wall (Fig. 1B, arrowheads), suggestive of tracheobronchopathia osteochondroplastica (TO). Multidetector computed tomography (MDCT) of the thorax. (A) Axial high resolution MDCT image demonstrates multiple nodular calcifications (white arrows) at the anterior wall of the main bronchi. (B) Virtual bronchoscopy shows nodules (white arrows) involving the anterior and lateral portions of the trachea, with sparing of the posterior wall (arrowheads). J.S. Prince, D.R. Duhamel, D.L. Levin, J.H. Harrell, P.J. Friedman. Nonneoplastic lesions of the tracheobronchial wall: radiologic findings with bronchoscopic correlation. 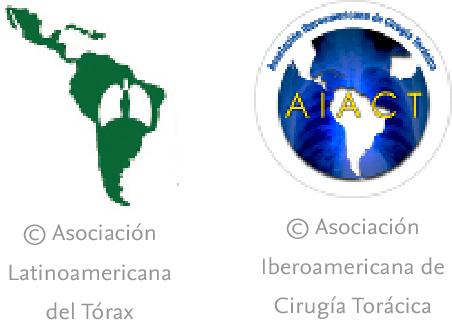 Tracheobronchopathia osteochondroplastica: a review of the literature.